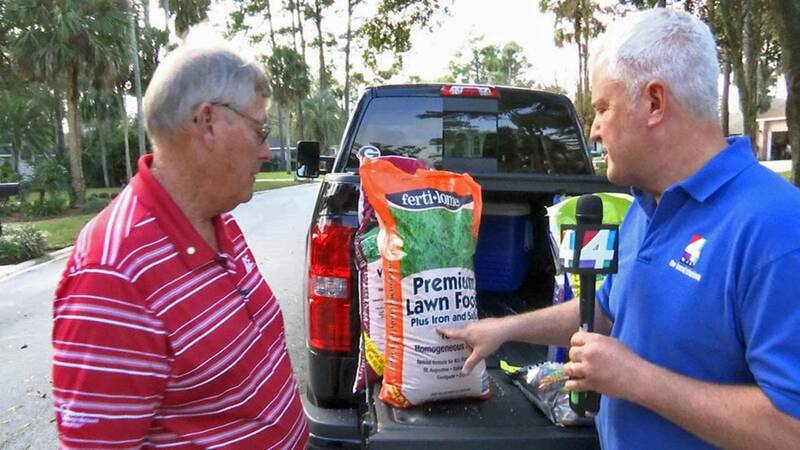 JACKSONVILLE, Fla. - Steve Proctor, owner of some area ACE Hardware stores, stopped by chief Meteorologist John Gaughan's lawn to discus how to prep your yard for the entire year. And it starts right now. The main take-a-ways? Follow the calendar and don't have too high expectations or too low expectations when kick-starting your yard. 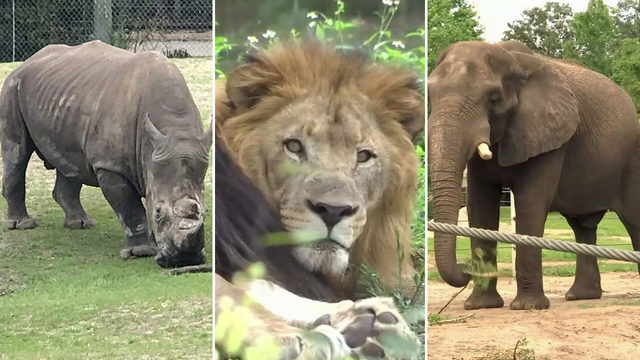 Why this matters is completely human. If you have high expectations and are anticipating a quick greening and growth of your yard, you might be inclined to go and overfeed. Overfeeding can leave dead spots from too much fertilizer collecting and ultimately "burning" the grass. On the other hand, if you wait too long or don't follow the instructions, such as failing to water (lightly) after putting down weed and feed, your yard will not respond as it should. In other words, follow the instructions and keep your expectations in check. Back to the calendar, temperatures will drive most of the growth in early spring, rainfall is also very important, more on this later. George Winterling reminded me that since weeds start growing first each spring, it is very important to put down weed killer early. When? 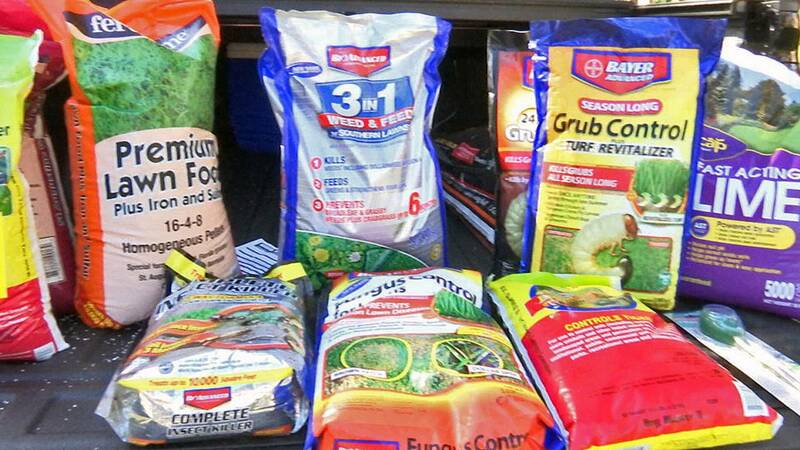 Just as ground temperatures are beginning to rise which is about now (mid-February) or if you plan on using a weed and feed, March 1st is about the right time. Locally, our yards really won't start growing until we see morning temperatures remain consistently above 65°. Other yard issues are sometimes overlooked, these issues include insects, fungus and soil pH. Patchy brown spots can be a sign of bug infestations, including fire ants, and possibly mildew and fungus growth in particularly wet soil. Steve's suggestion? Take a picture of your issue and show it to one of the helpful, handy hardware folks at ACE. There are unique conditions that could be the cause and the folks at ACE will help you through it. Including, soil pH. Yes, too basic or too acidic soil can have an impact on why your yard isn't greening up or killing all the weeds, especially dollar weeds. And one final detail about fertilizers, there are various types for different plants, gone are the days where you really needed to understand the various components. Formulas are now very specific and conspicuously placed on each bag, whether it is for Roses, Azaleas, Citrus trees or just for your yard. The content of nitrogen, potassium and potash (the three sets of numbers) have already been formulated for your plants. As always, follow the directions on the bag.